PLEASE NOTE: The Tailgut is subject to stock as we have had a delay in our supplies. 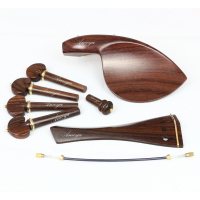 If you want your violin to look like a Strad or a Guarneri then look no further! 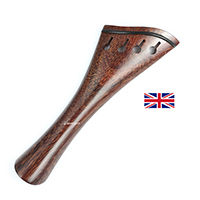 These exact fittings have been supplied in the past to numerous string workshops all over UK and Ireland, and are used on many of those workshop’s finest violins. These tailpieces are made from professionally finished Tamarind wood with added ebony style accents to levels of production superior to most other tailpieces you will see. 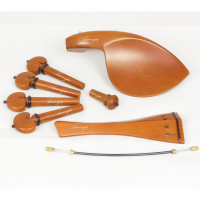 The classic Hill style of these fittings are bound to give your violin that royal touch thanks to this tailpiece’s elegant and sleek shape. 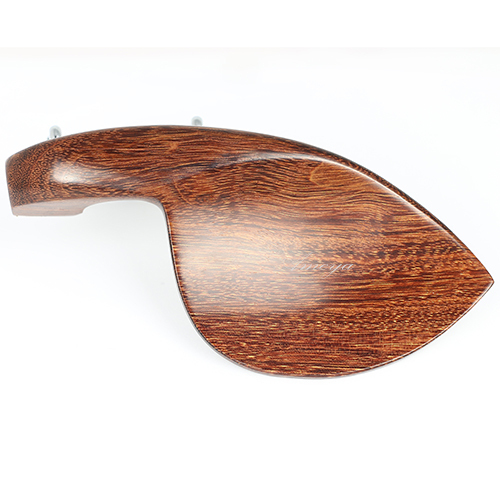 These tailpieces are handmade and finished with accuracy and finesse. They are made from the best and most sustainable resources available. They can help to improve the tonal qualities of your violin. 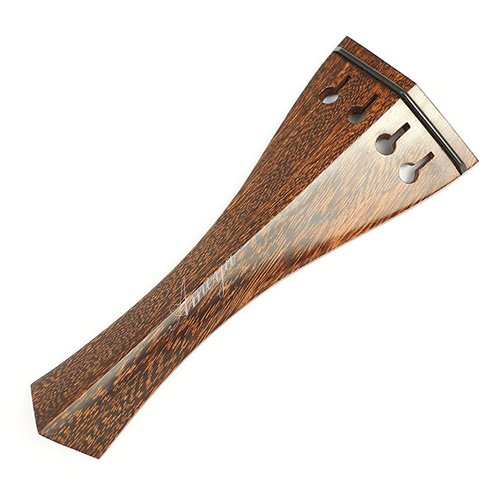 A free nylon cord tailgut is included to make buying a tailpiece more convenient. 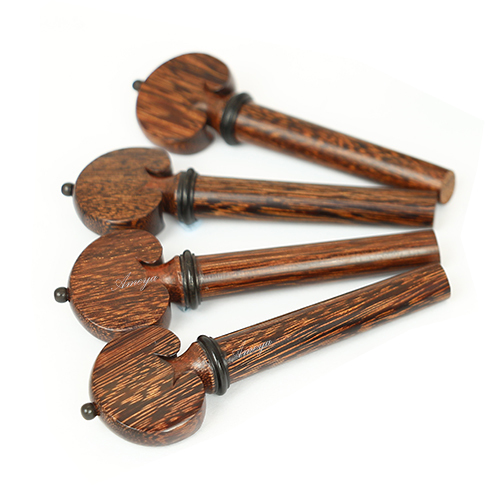 Handmade set of 4 Tamarind wood Heart Shaped Hill style pegs, with ebony style accents. 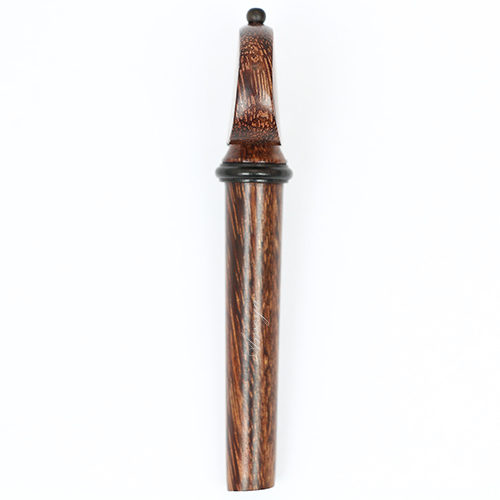 These pegs on offer are made from professionally finished Tamarind wood of the highest quality, and have added ebony style collars and pips, the other coloured accents which you can see. The levels of production are highly superior in quality to that of other pegs you will see. The pegheads are neater in shape of the heart style, and are less thick in feel yet still remain strong and sturdy. 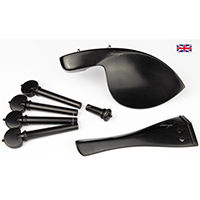 The classic Hill heart peg style of these fittings are bound to give your violin that royal touch thanks to this tailpiece’s elegant and sleek shape. 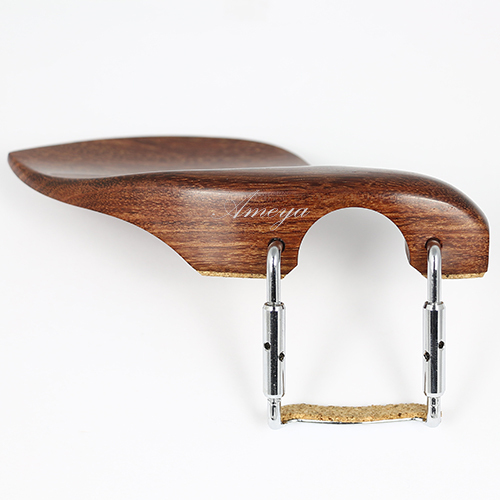 Such peg styles can be seen on the “Lady Inchiquin” and the “Huberman” Stradivarius violins. 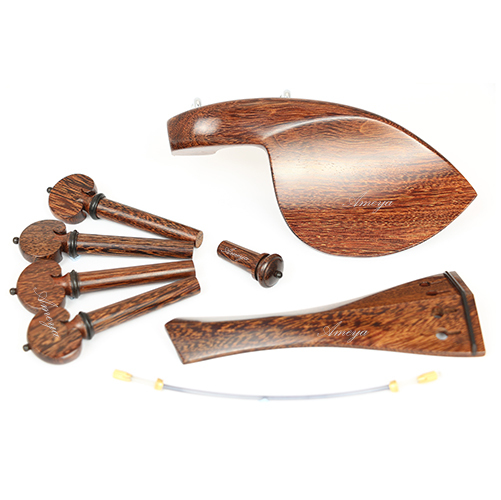 These chinrests are made from professionally finished Tamarind wood to levels of production superior to most other chinrests you will see. 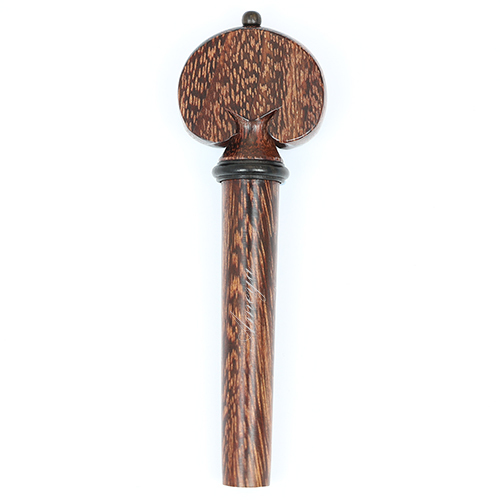 These chinrests are handmade and finished with accuracy and finesse. The clamping fittings are to a equally high standard with the usual cork grip layer which some sellers don't always include. They can help to improve the playing qualities of your violin. 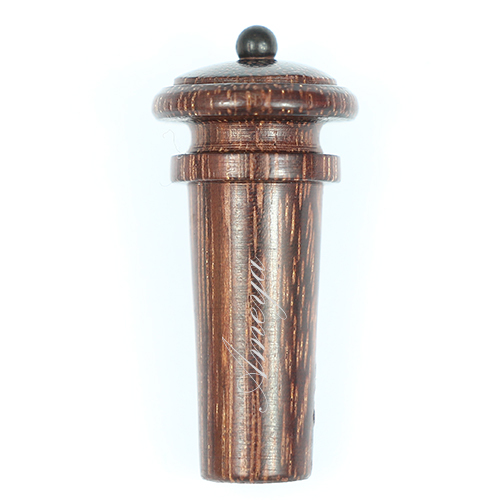 These Endpins on offer are made from professionally finished Tamarind wood of the highest quality, and have added ebony style pips. The classic Endpin style of this fittings is bound to give your violin that royal touch thanks to this Endpin’s elegant and sleek shape.